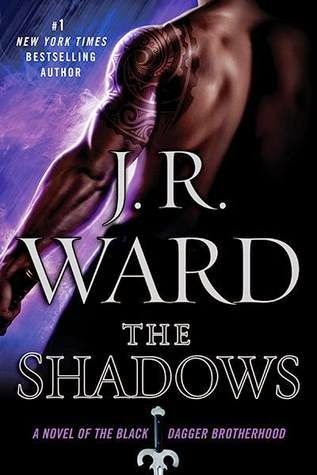 This has to be one of Ms Ward’s best books in this exceptional series. If I could give it 10 stars I would. There is a lot of heart and soul and deep emotion gone into this book. The deep sadness that runs through this book is palpable to the reader. This books core is about Trez and I'Am, the two Shadow brothers whom the Brotherhood has taken into their home and have treated like their own, and a golden light in one of the brothers life, a Chosen one, who he calls his Queen. One suffers the greatest loss that anyone can imagine and the other finds great happiness with the right woman, something that he thought would elude him for all time. The journey these two brothers go through and the love for each other that they share will have you digging down the tissue box. I cried so much and it also makes you think of your closest ones with more clarity, what if it happened to you. But as always with the Brotherhood they have a lot going on in their world, what with keeping the human population in their town safe from the Lessers and also having Xcor and his Band of Bastards to contend with. With another Chosen one fighting with her conscience, which leads to more drama, which makes you wonder how it will turn out. And also we see new characters being introduced, Paradise being one, who is the daughter of the Kings advisor. She looks like she could become an interesting character and one to follow. All of it was in this sacred place. Ms Ward a really awesome book. May the Brotherhood reign forever and we will be reading about them far into the future.